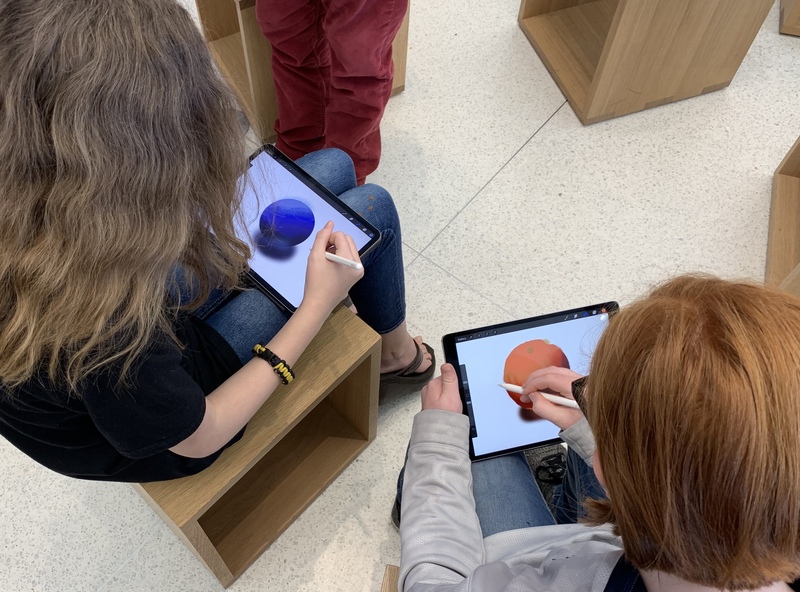 Just short of a year ago, I took my daughter and her best friend to our local Apple Store for an Apple Hour of Code class on Swift Playgrounds. They absolutely LOVED it. I’ll be honest- I thought it was pretty cool, too. They got lots of hands on instruction and tips. The teacher even broke out a BB8 and R2D2 for them to remote control with the iPads and let them race in the corner of the store for half an hour after the class wrapped. They had a blast. Las weekend I had to head back to the Apple Store to return the Smart Keyboard Folio I picked up for the 11″ iPad Pro. I kept my 12.9″ model, but I just found the other one to be too small. Saturday was the last day to return, so crazy holiday shopping weekend or not, I had to go. My daughter always likes to go to the Apple Store as well, so I decided to check out their Sessions schedule in the Apple Store app the day before. 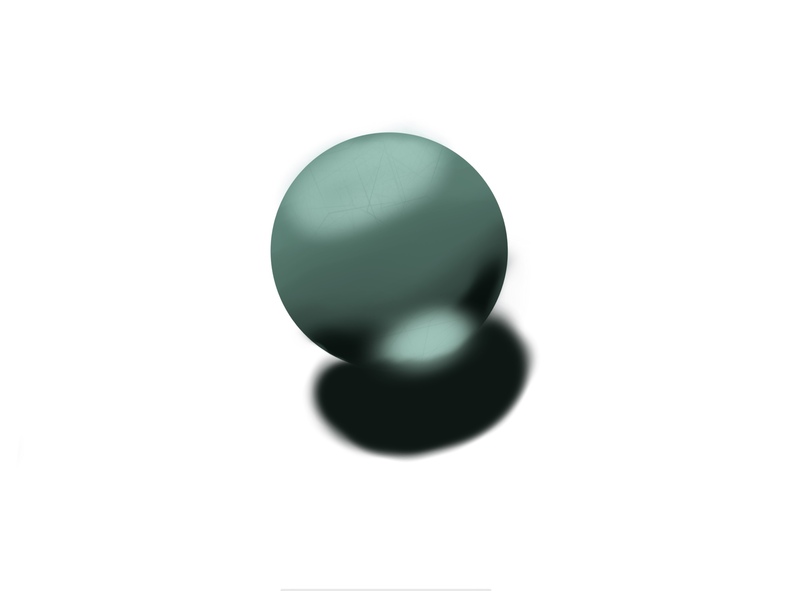 I immediately took notice of a class called How To: Sketch, Draw and Paint with iPad. My daughter and her best friend are both really creative and artistic, so I immediately signed them up. As much as they enjoyed the previous coding class, this one was an even bigger hit. They were right in their element. I was also impressed with the content of the class. The instructor covered the powerful drawing app Procreate, giving an overview of some off its basic features. While the girls didn’t have any problems keeping up, this was also not a kiddie class by any stretch. 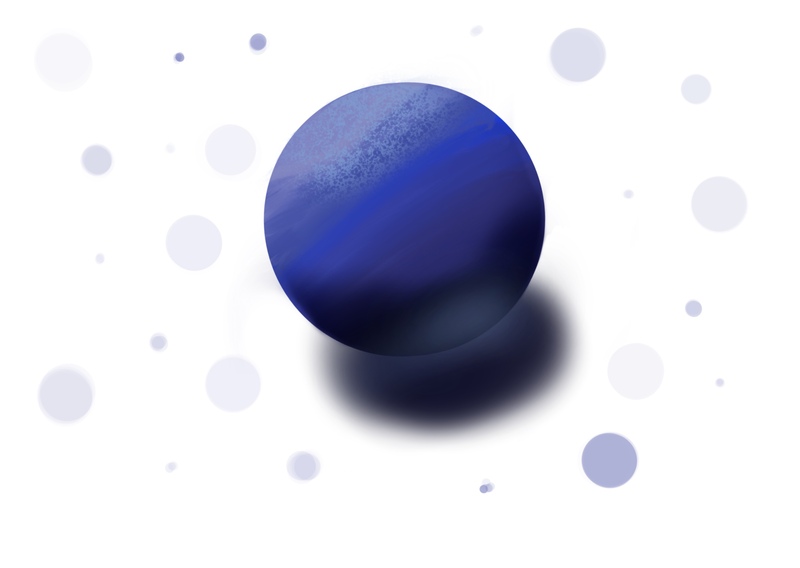 The instructor dove right into topics like layers, different brushes, alpha lock, and various shading, smoothing, and blending techniques. Later that evening she decided to try again using all that she learned in class, and came away with an even better looking sphere. I don’t think there’s any denying that my daughter got something out of this class. She definitely listened and learned the techniques well enough that she was able to apply them again and improve on her first try. Again, for a class that is offered for free, it is hard to beat. 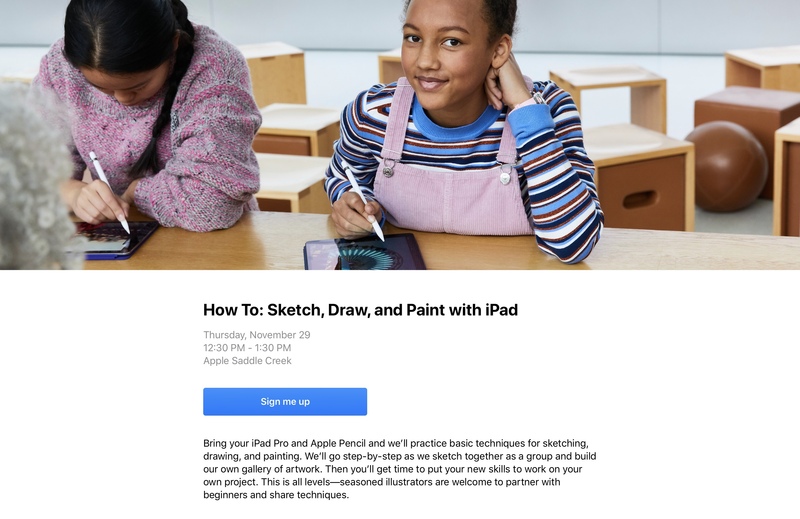 Another great feature of the class is that you didn’t have to have your own Pencil-compatible iPad or iPad Pro to attend. I took both of my iPad Pros, but I only had one Pencil. Rather than loaning out a Pencil to use with mine, the instructor just lent my daughter’s friend an iPad and previous-gen Pencil for the class. I like that anyone who doesn’t have their own iPad can still attend and get a feel for using one. This is actually a great way for a potential buyer to try out an iPad and Pencil ahead of purchasing. I know this. 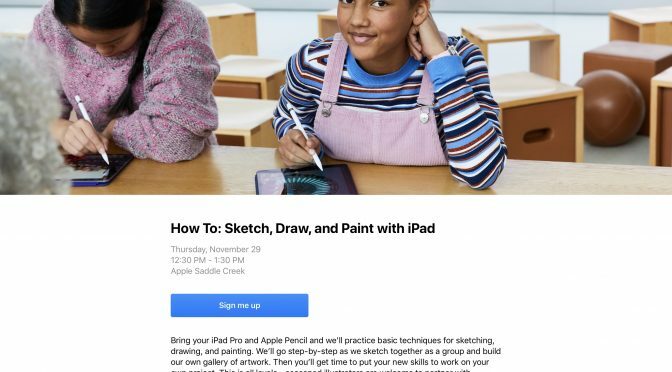 The next time we are at the Apple Store and this class is available, my older son who takes art in high school and is quite creative has said he would like to sit in. After seeing what his sister was able to do after an hour overview of an app he already owns, he was ready to go, too. As poor as I am at drawing, I might attend myself just to get a better grasp on the features available in Procreate. If art isn’t your thing, I would still recommend taking a look at the course schedule if you are heading to your local store. There are all kinds available and they really are impressive for something free that anyone can sign up for and enjoy.